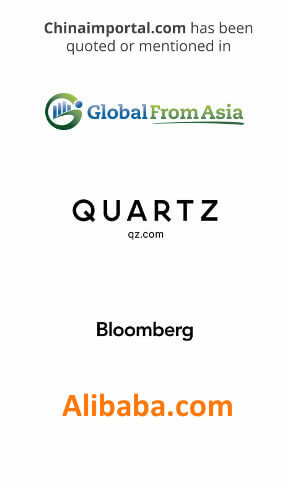 Below follows an overview of some of Vietnam’s leading furniture factories. Notice that we are not affiliated with any of the listed factories. Further, some of these companies only manufacture products for established brands. Minh Duong Furniture Corp ranks among the largest manufacturing companies in Vietnam that manufactures and exports indoor furniture. It was founded in 2002, but within a decade, it emerged as an industry leader in local manufacturing industry. The company, Minh Duong Co. Ltd, was started as a family business by the two brothers, Mr. Duong Minh Chinh and Mr. Duong Minh Dinh. Initially, the small company manufactured furniture for the local market, but within a couple of years, they become 100% export oriented business. The head office is situated in Thuan An Town, Binh Duong Province. Today, Minh Duong Co. Ltd. owns multiple subsidiaries and four factories, all working in the furniture manufacturing industry. Some known companies under the Minh Duong Co. Ltd are Chu Lai, Thanh Duong, Tam Binh, and Minh Duong Furniture Trading Corporation. They started with only 50 employees in 2002, but now have more than 2000 employees. Dewberry is one of the leading furniture exporters in Vietnam known for its French style and hand-made furniture. It is owned by a French based company, Country Corner that was founded in 1970. The manufacturer has three factories all located in and around Ho Chi Minh City with more than 800 employees. The company also works in partnership with the French Interior’s Group. All the furniture produced in Deberry factories in Vietnam is designed by Interior’s Group in France. Dewberry manufactures almost all types of furniture products under 23 furniture categories and collections that include Romance, Rose, Perle, Heritage, Escale, Brocante, Armchairs & Sofas, Couture, Domaine, and a few more. All the products produced by Dewberry are FSC certified. The minimum order quantity is five for standard (ODM) products. Woodnet is another major Vietnam based furniture exporter that exports its products to 32 countries all over the world. The head office of the company is based in Ho Chi Minh City. It was founded in 2006 as a 100% exporter of furniture products. They currently export to Europe, North America, Australia, New Zealand, Japan, and some other Asian countries. Woodnet is most known for their high-quality bedroom furniture, living room furniture, and dining furniture. They offer a wide range of furniture and designs, including 25 collections, and add eight new designs to their collections every day. Their furniture collections are made of sheesham, reclaimed pine, white oak, acacia, and other high quality timbers. You can also find furniture designs with a combination of metal and timber finishes. They also design furniture in vintage, industrial, and contemporary designs. The minimum order amount is 20 pieces per item. You can also check out their huge showroom in Ho Chi Minh City. 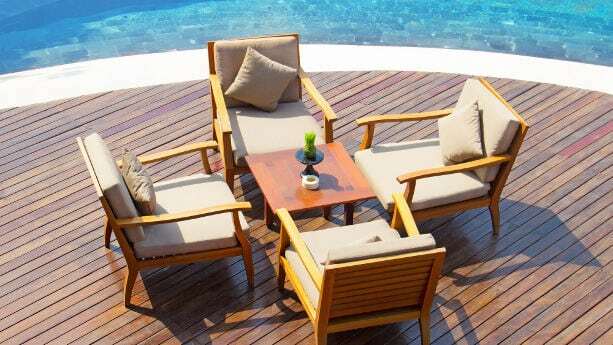 Unlike the first three manufacturers on our list that manufactures indoor furniture, Thinh Phu is known for its high-quality outdoor furniture that is exported to more than a dozen countries. The factory and head office of the company is based in Quy Nhon City, Binh Dinh Province. Thinh Phu Furniture is a subsidiary of Thinh Phu Imex., Co. Ltd. which was founded in 2014. The company’s annual revenue is between USD 1 to 2.5 million. The wood and timber used is from both FSC and non-FSC sources, mostly acacia and eucalyptus. The production lead time is 55 days for return customers and 60 days for new customers. The minimum order amount is 100 units per model. Kaiser 1 Furniture Industry (Vietnam) Co., Ltd is also a furniture exporter that is known for its high-quality American bedroom furniture. They own a 300,000 square meters factory 60 km away from the center of Ho Chi Minh City. It was founded in 2004 and currently employs around 5000 employees. Their factory is not only one of the largest in the country, but they also have some of the most advanced machineries compared to other factories in Asia. They also have their own EMC testing room and testing lab. The testing lab also does testing for other factories according to the requirements of US based clients to meet the American standards. With a USD 7.5 million output value a month, it is considered among the three largest American furniture manufacturers in Vietnam. They specialize in manufacturing American bedroom furniture, but also produce other products as listed below. It’s also an FSC certified company and also owns CARB formaldehyde emission standard certification. In addition, they test every product according to the American standards and requirements. Their main market is North America. ATC Craft is owned by ATC Furniture Furnishings Corp, which is best known for its outdoor patio and garden furniture, but also manufactures indoor furniture. It specializes in manufacturing wicker furniture. It was established in 2006 in Ho Chi Minh City and currently employs around 300 people. Almost 80% of their products are for exports. ATC Craft is certified by ISO 9001:2008 and ISO 14001:2004. Saigon River Factory is situated in Tan Uyen, Prov Binh Duong. SRF manufactures export quality furniture, decoration items, lighting products, and tiles. It was founded in 1998 by two foreign nationals, Hedwig Pira and Peter Arts. The list of their manufactured products is as follows. Hoang Moc Furniture Co., Ltd is another major manufacturer and exporter of indoor furniture. It was founded in 2010 and based in Binh Thanh ward, Ho Chi Minh City. Their two factories are located in Di An Town and Thuan An Town, Binh Duong Province. Most of their products are made of pine timber, acacia wood, and oak wood. Other than that, you also have an option to choose from 27 different furniture collections. The average lead time per order is around 40 days. There are various local supplier directories in Vietnam. That said, Alibaba.com is still the number one directory for Vietnamese suppliers, even though Alibaba is based in China. For Rattan furniture alone, there are 286 listed factories based in Vietnam, listed on Alibaba.com. You can also find Vietnamese furniture and homewares factories listed on Globalsources.com, a Hong Kong based supplier directory. That being said, there is a better way to find Vietnamese manufacturers. There are several furniture and home products trade shows in Vietnam, including the Vietnam International Furniture & Home Accessories Expo (VIFA Exp) and VietnamWood. Both trade shows are held yearly in Ho Chi Minh City (Saigon), at the Saigon Exhibition & Convention Center (SECC). Most nationalities don’t need to apply for visas before arriving in Vietnam, which makes the country very accessible. Can I buy from furniture wholesalers? There are many furniture wholesalers, that can sell ‘ready made’ products directly from the warehouse. However, many furniture wholesalers sell products made for the domestic market in Vietnam. Such products may not comply with fire safety regulations, which prohibits you from importing them. Further, many wholesalers are not familiar with exporting furniture overseas, which can make the process slow and complicated. For most importers, it makes more sense to go directly to export oriented factories, rather than local wholesalers or stores. 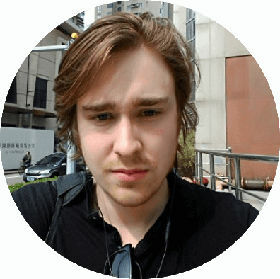 Are Vietnamese suppliers cheaper than those in other countries? 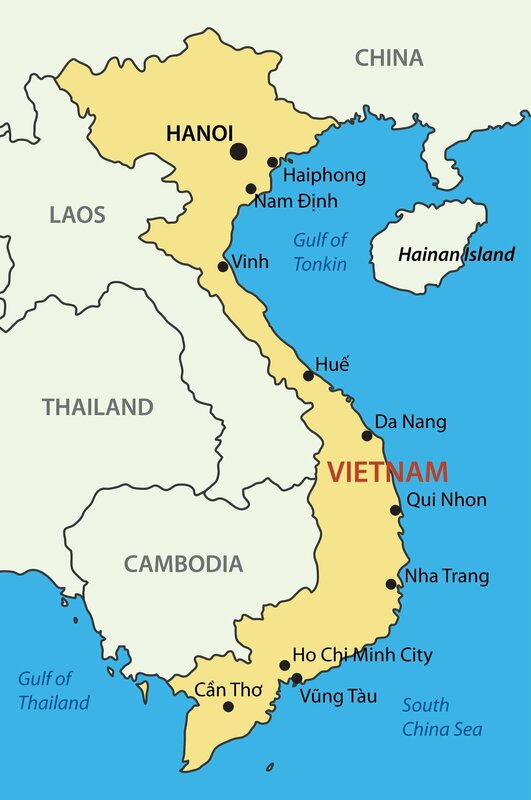 Vietnam is a low cost country, but so are practically all countries in the region. However, compared to their competitors in Thailand and China, Vietnamese furniture suppliers tend to be cheaper. That said, don’t expect to cut 50% compared to what you’d pay in other countries. At best, a Vietnamese supplier can quote a price that’s 10 to 15% lower than those in China or Thailand. Below follows a brief overview of the entire procurement process. 1. Custom design or factory designed furniture? You can’t expect the factory do develop your products for you. In addition, some factories also require a larger order volume when buying custom designed furniture. For example, some Vietnamese furniture factories only have a 5 pcs MOQ for standard designs, while they require at least 50 pcs for custom designs. For most importers, it makes more sense to go for a factory designed product. Importing furniture samples will cost you a lot more, compared to flying over to Vietnam and visiting the suppliers. Furniture manufacturers always have showrooms, where you can take a close look at their different factory designs. Some of these suppliers even have their showroom in Ho Chi Minh City, while the factory is on the outskirts. As I already mentioned, most nationalities don’t need a visa to enter. You can get a visa exemption stamp, valid for 2 weeks, or apply for a longer visa (3, 6 or 12 months) in the airport. 3. Can they ensure product compliance? Planning to import furniture to the United States or the European Union? Then you may need to ensure compliance with various chemical regulations, and fire safety standards. My impression is that Vietnamese suppliers, especially those who have western management, tend to have a good understanding of these regulations. But far from all suppliers do. Check existing test reports to ensure that the supplier is capable of manufacturing ‘compliant furniture’. You should request these documents before you visit the supplier. You don’t want to waste your time on suppliers that can’t make compliant goods. You should request quotations and negotiate prices while you are in the factory. Vietnamese suppliers are used to price negotiations, and are not offended if you try to haggle. As long as you are polite, and can present a strong case for a price reduction, you can cut down as much as 8 to 10%. However, don’t try to negotiate too hard, or the supplier may give in, but use cheap and substandard materials instead. You can select factory designed furniture directly from their showrooms, and prepare a sample order of 5 to 10 units. You need a complete spec sheet to avoid misunderstandings. All terms shall be clearly specified in a sales contract, that is to be signed and stamped by the supplier. Just like in China, Vietnamese companies use red company seals to sign contracts. The production time at most factories is around 40 to 50 days. You can of course decide to stay around in the country, and inspect the products yourself. However, most importers work with local quality inspection companies, that go to the factory to check the furniture before shipment. There are many inspection companies present in Vietnam, especially in and around Hanoi and Ho Chi Minh City. Expect to pay around US$400 for a 1 day inspection, including transportation costs. Do you want to import Furniture from Vietnam? Can you tell me more about custom design furniture and which are the best factories specifically for that? Hi there, do u supply to Singapore vendor ? Yes, we have many customers in Singapore.